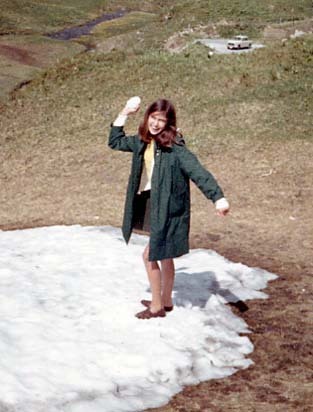 1966 Constanza touring the Swiss Alps with Danny, Mom and Dad. 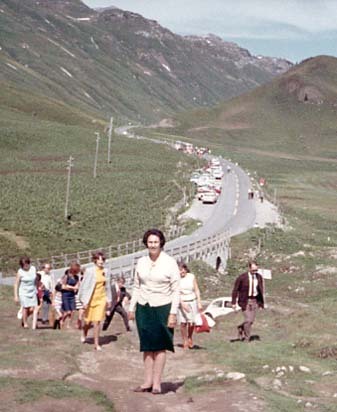 1966 Mom stops to rest while hiking the mountains of Switzerland. 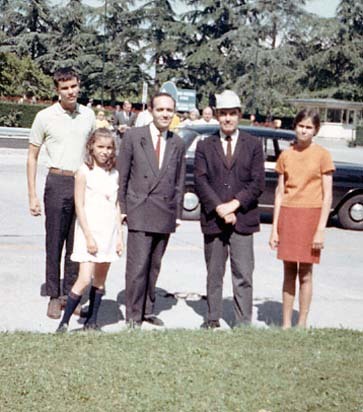 1966 L-R: Danny, Cousin Myrianne next to her Dad, Uncle Hector, Dad and Constanza. They made a stop in Geneva to visit Hector, who was married a lovely Swiss lass, and lived there many years. 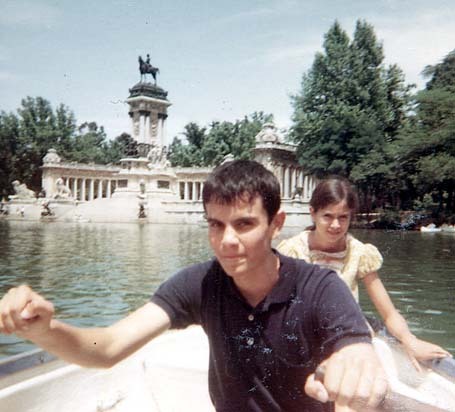 1966 Danny and Constanza enjoying the scenery on the Seine River, Paris. 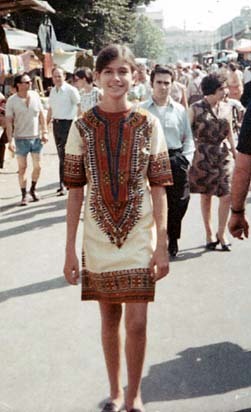 1966 Constanza on a shopping spree at an outdoor market in Italy. New duds?? 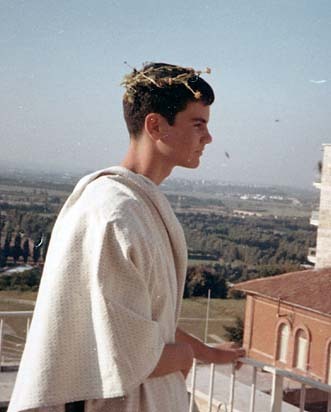 1966 Danny, Roman Emperor, overseeing his empire. They also traveled through London, Venice, parts of Austria and Germany, where they saw Dachau, one of the concentration camps. And in Spain, they enjoyed visiting friends. 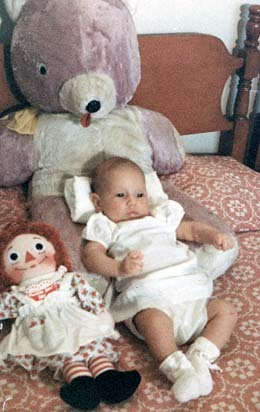 1966 Lauren Teresa, first child of Cristina and Roger Heissner. 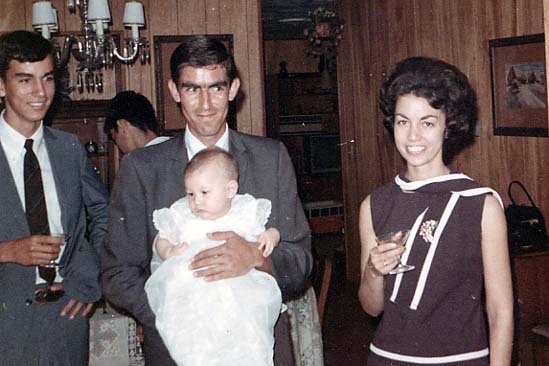 1967 Godparents Pacho and Victoria celebrating Lauren's baptism with Edgar at 907 Valencia. She was baptized at St. Theresa's Church of the Little Flower. 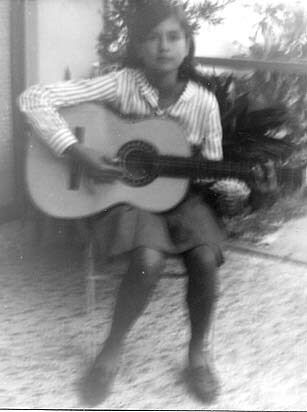 1967 Constanza provides a little musical entertainment. Edgar and Danny also played a few tunes on the guitar. 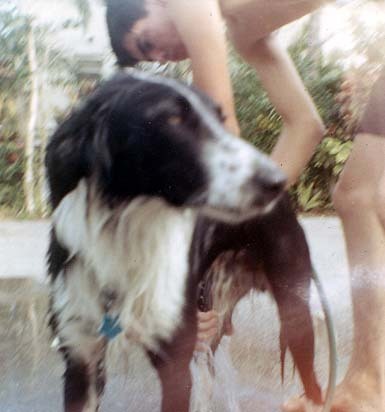 Of the three, Danny became the more accomplished musician playing various string instruments. 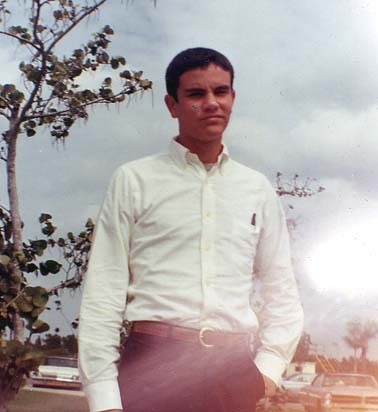 1967 Danny, at 17, dressed in his Christopher Columbus High attire. 1967 What?? Do I need another bath? Mauricio gives me a good rubdown. 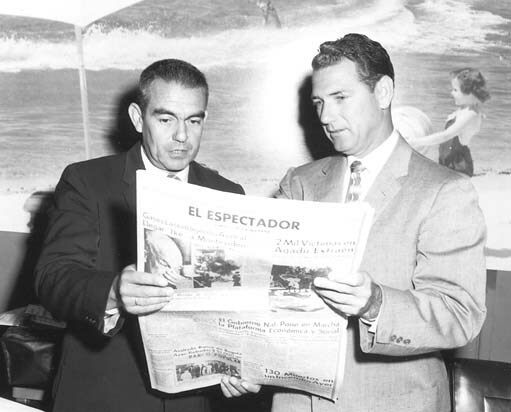 1967 Dad shows the ads promoting Miami's attractions to a Chamber of Commerce rep, which appear in the "El Espectador" and other Latin American papers. Business seemed to improve for the hotel and restaurants, who were happy to have this recognition. 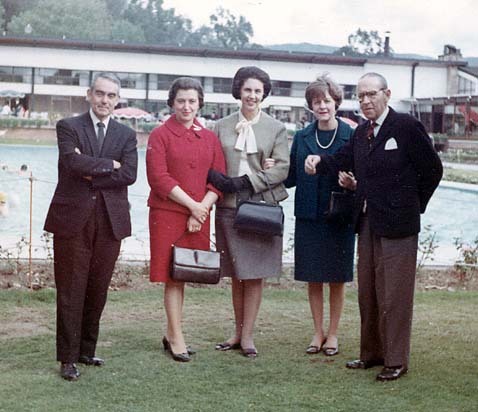 1967 Mom and Dad visit Club Los Lagartos in Bogotá with Maruja Manrique and her father, Alberto, a respected architect. As kids, we loved spending afternoons in this private club with its enormous pool, amenities, exotic flowers and landscaping. Likewise the Manriques' contemporary home was impressive.